You can find a lot of info on the high score list, find the high score list here. Only players over 25 navigation, will be on the high score lists. On the first page you have a lot of different options at the top by clicking the small flags. Under the map you can see who owns cities and the war status. 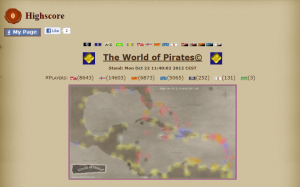 First you got a black flag with a globe, it is where you are at, on the high score when going there. Second is a blue flag with a helmet, here you can see a clan list, first on the list is the clan with most cities, next is the richest clan. By clicking a clan you can see who is leader and who is member of the clan. Here you will be able to see chars under 25 navigation as black and you cannot click them to see the char info. Third is a flag with A-Z on it, here you can search players alphabetical. You can also use the player search option here. Green flag with a crown is the high score list with who got the most total positive reputation. 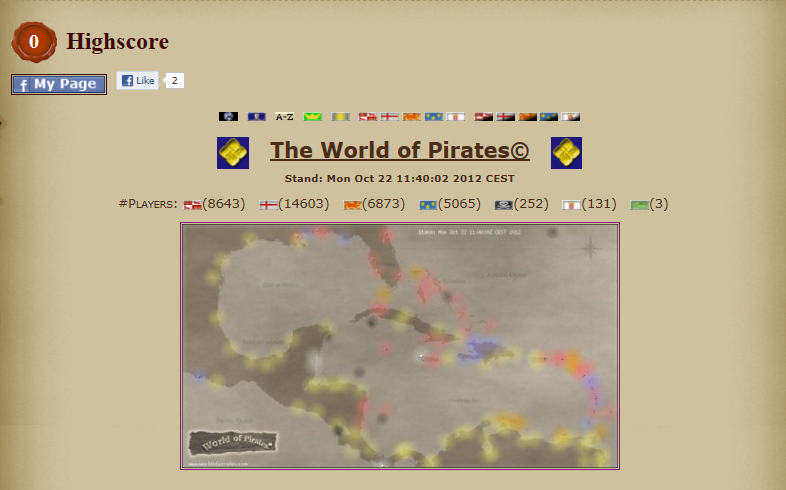 Grey flag with a coin is the richest high score, only chars with 100 navigation or more is included in this list. Next is the five nation flags, here you can find a list of best reputation at each nation. Last is the five nation flags with a shadow, here you can find a list of the worst reputation at each nation. You can anywhere in the high score click on a player to see the players info, skills, statistic and sympathies. When you pressed a player, you got options to see a short list of best navigating, firing, fencing and trading.